Humans are unusual in that the females live long past the age at which they stop having babies. Patrick Bergeron, professor of biology at Bishop’s University in Quebec. This increase in post-reproductive longevity is often explained by the so-called “grandmother effect. To explore the “grandmother effect” hypothesis, Bergeron and his colleagues examined nearly 200 years’ worth of French-Canadian population records from the 17th and 18th centuries. But the researchers found that having a grandmother still alive was a definite plus. 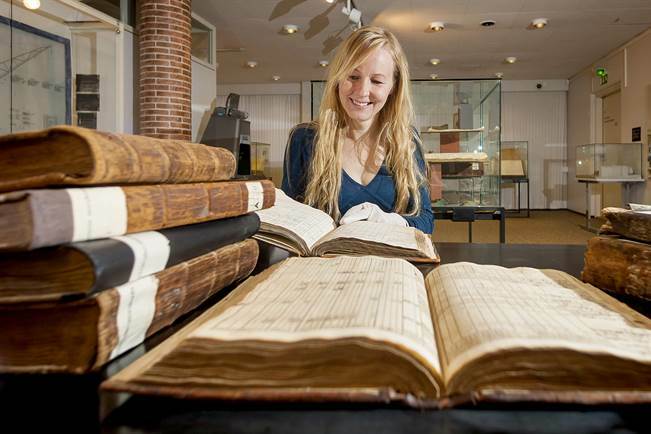 Researchers at the University of Turku in Finland used church records from the 18th and 19th centuries. They found that the benefits associated with having a grandmother on hand depended on her age. Once grandma hit 75, the grandchild survival benefit disappeared—and then some. Simon Chapman, a doctoral student in biology. So a healthy grandma helps make for a healthy grandchild. If “over the river and through the woods to grandmother’s house” isn’t too long a trip. Back in 2007, the European Commission established the European Research Council with the mission to encourage excellent frontier research in Europe through competitive funding, supporting top researchers across all fields and of any nationality. Since then, the ERC has had a considerable impact on the European research landscape. In almost ten years, it has funded almost 7,000 researchers and thereby supporting more than 40,000 team members. Its support has been acknowledged in close to 100,000 international scientific journal articles. "Getting the ERC award was really critical to actually build your own team so that you have a lot of talented people working together," says Virpi Lummaa, Professor at University of Turku (Turun yliopisto), Finland. 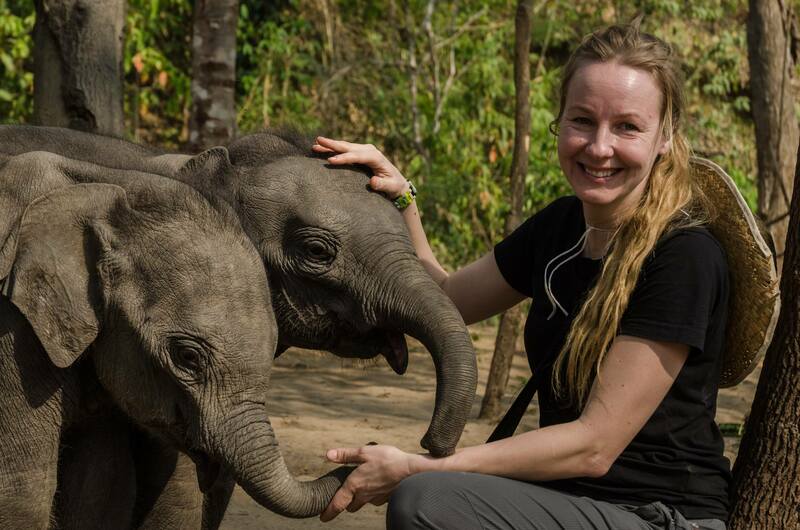 She is holding an EU-funded ERC Consolidator Grant (Elephant Project: How elephants grow old? 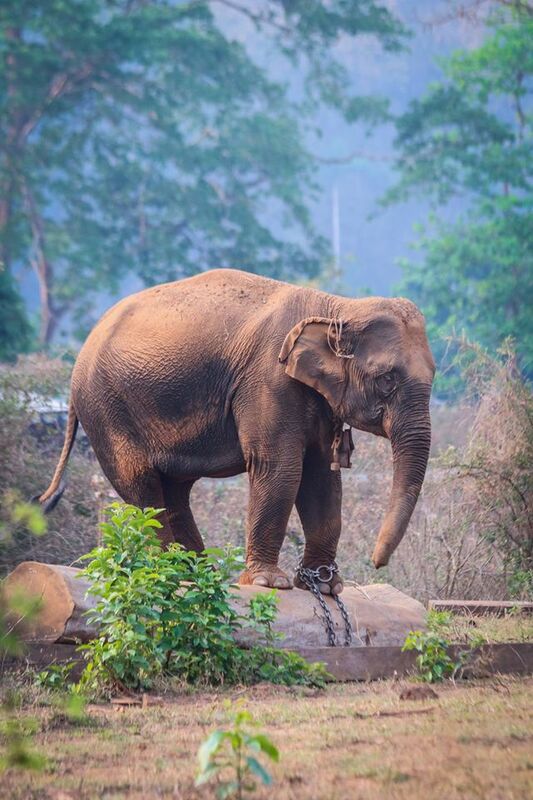 Learn more about the Myanmar Timber Elephant Project. 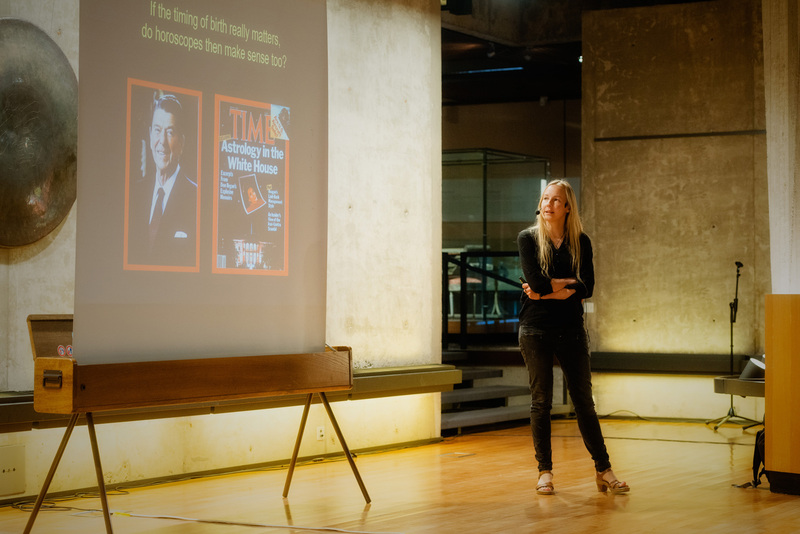 Virpi Lummaa holds an Academy of Finland Professorship at the University of Turku, Finland. 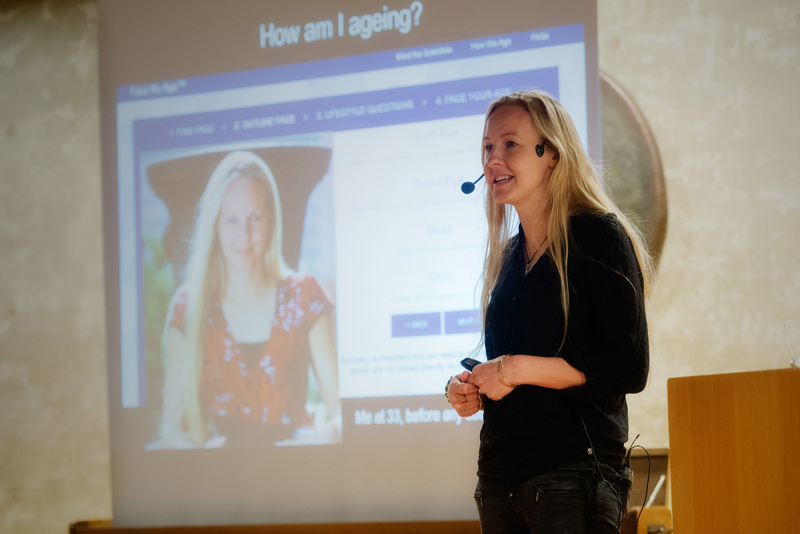 She is interested in ageing, lifespan and natural selection in contemporary human populations, looking at evolutionary, ecological and demographic factors. 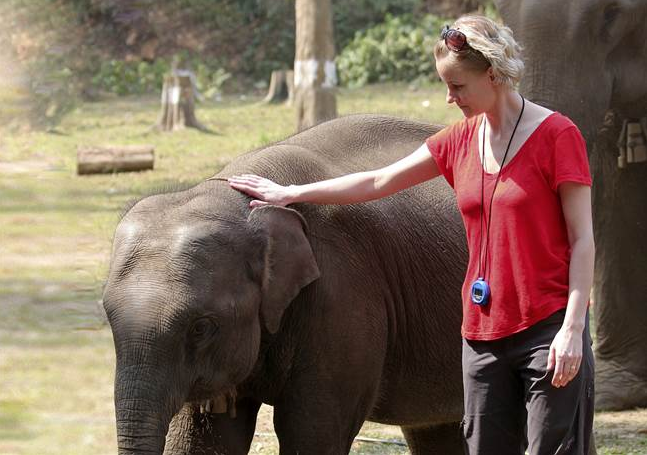 At present, Prof. Lummaa also focuses on senescence patterns of the Asian elephant, a long-lived mammal that offers unique opportunities to address ageing mechanisms. Her latest findings highlight the significant role that elephant grandmothers play to ensure the survival of the calves, providing vital baby elephant care comparable to childcare in human communities across the world. Well, when I was a kid I really really loved animals and I thought what I would be doing is going to some adventure in a jungle and study animals there. I wanted to follow my great hero - Jane Goodall and go to study chimpanzees somewhere in Africa. But I discovered, there is no opportunities to study chimps in my University, so I end up working on humans which was kind of close enough cause it’s closest relative so that’s how I got into biology. What was really fascinating me about humans is the life history and particularly women. „Why did I stop having children half way through the potential lifespan and have menopause?” And that’s really an revolutionary puzzle because no other specie is practically has that trade. There’s two key questions there: „why do we live as long as we do and reproduce as long as we do?”, and then secondly: „why is there such enormous variation between different individuals and how and what age they do that?” So to study these questions what I needed was to be able to know detail life events of lot of individuals from birth to death. And to achieve that, what I’ve started doing was going to church archives and building pedigrees of people and studying those records. What we discovered was that, actually living beyond that menopause age was beneficial for women because the grandmothers, as it turns out, provide really key help in the family in raising those children, so if the grandmothers continue living for long enough time, they are actually more successful in passing on their genes to the next generation. Because that way, they can assist the next generation to successfully raise their children. I’m actually a single parent of two little kids and I also breed dogs so I have a lot of dogs as well. And basically juggling the career and science having kids, having dogs it’s not very easy and I've very recently been able to move back from UK to Finland and it’s been fantastic because now I’m more close to my mother and she’s able to help me with raising kids and raising dogs and being a scientist. Getting the ERC award was really critical to actually build your own team so that you have a lot of talented people working together. We even go for run together every week to discuss our result its and was a bit hassle in Finland in winter pot. I guess I like adventures. I love being back home, I like having my family back together every weekend, seeing the extended family. I believe in humans actually living in big social groups so I’m glad reunited with my group. Akatemiaprofessori Virpi Lummaan tutkimusalue ulottuu suomalaisista kirkonkirjoista Myanmarilaisiin norsuihin. Turun Sanomien toimittaja Anna Kuusela haastattelee Virpi Lummaata Turun maakunta-arkistossa. In Old Norse mythology the characters called Norns rule the destinies of both gods and humans. The eldest of these Norns is Urðr, the Norn of fate. In Norse mythology, humans were created as incomplete and without fate. It was only the actions of the Norns that gave humans fate and made them complete. Humans would have neither complete free will nor were they constrained completely by fate. There is neither free will nor unalterable fate. Aboagora 2016 discusses the multiple understandings of fate by exploring how agency is understood in relation to the past. Sattuma vaikuttaa monin tavoin luonnon eliöihin, niin eläimiin kuin ihmisiinkin. Miten ympäristön vaihtelu vaikuttaa niinkin erilaisiin ilmiöihin kuin eläinten parinvalintaan ja 1700-luvun suomalaisperheiden pärjäämiseen? Miksi lapsiluvut vaihtelevat tämän päivän Suomessa, ja onko kumppanin löytäminen tai vaihtaminen vain sattumaa? Grandmas often help out a lot with grandkids. That may be why women live long past reproductive age and why menopause, which is rare among animals, evolved—an idea called the “grandmother hypothesis.” Now, two new studies published today (February 7) in Current Biology offer some evidence that supports the hypothesis, with some caveats. 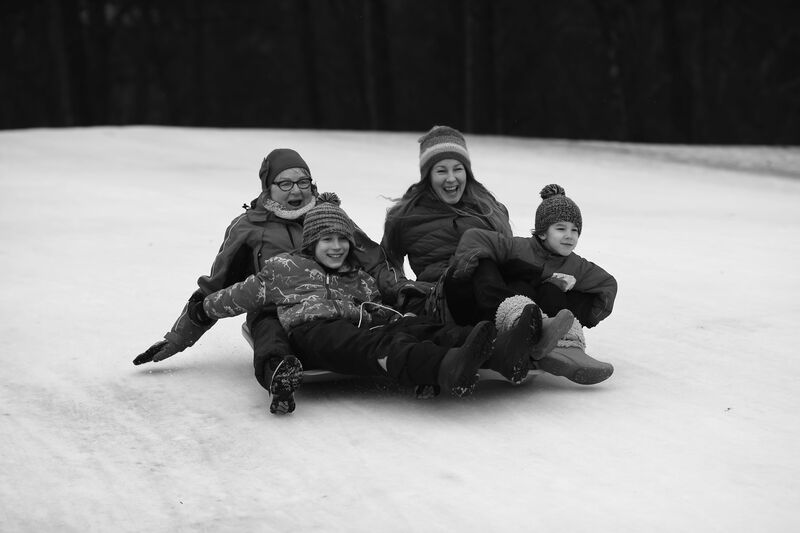 In some 17th- and 18th-century communities, the studies found, the younger a grandma was and the closer she lived to her grandkids the better chance they had of surviving early childhood. “Grandmother help is central to human families all around the world, but we find that the opportunity and ability to provide help to young grandchildren declines with grandmother age,” Virpi Lummaa of the University of Turku in Finland, a coauthor of the one of the studies, says in a statement. 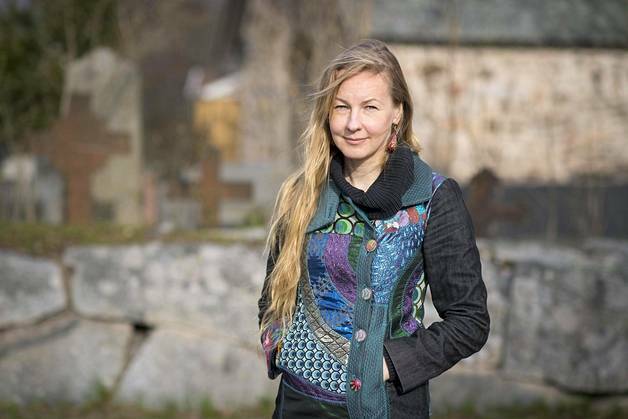 Lummaa and her colleagues studied the records of Finnish churchgoers born from 1731 to 1895, including 5,815 children. If maternal grandmothers living in close proximity to their extended families were 50 to 75 years old, their grandchildren aged 2 to 5 years old had a better chance of survival—a 30 percent boost—than kids with no maternal grandmas. Having a paternal grandmother over age 75 raised the odds of dying before age 2 by 37 percent compared with a child whose paternal grandmother was no longer alive. David Coall, a biological anthropologist at Australia’s Edith Cowan University who was not involved in the study, suggests the decreased survival rate for kids with older paternal grandparents was due to conflict between parents having to care for young babies, as well as their own aging parents. “What we are likely seeing here is a historical version of the sandwich generation,” he says, referencing the phenomenon of people simultaneously raising children and taking care of their parents. Having grandmas that lived far away didn’t seem to help either, another group of researchers reported in a second study. Using data from Canada’s St. Lawrence Valley, which included information on 3,382 maternal grandmothers and 56,767 grandchildren living sometime between 1608 and 1799, the team found that as distance between moms and daughters increased, the daughters had fewer babies—an average of 0.5 fewer kids for every 100 kilometers to be exact. Melissa Melby, a medical anthropologist at the University of Delaware in Newark who was not involved in either study, tells Science News that the research offers a good look at the life of communities in North America and Europe in the 1600s and 1700s. But she says she’s not convinced this is solid evidence for the grandmother hypothesis, suggesting menopause may have evolved by accident. It may have been a result of older men fathering babies that then inherited longevity genes. Or, at least in the case of the data from Canada, it could be because women were having babies later in life, until age 40, and so grandmothers survived because they were still raising their own offspring. Tuoreen tutkimuksen mukaan tytöistä on tullut sekä äideille että isille yhä arvokkaampia. Varsinkin äidit suosivat selvästi enemmän tyttö- kuin poikalapsia. Äidit suosivat enemmän tyttäriään ja isät vain hieman enemmän poikiaan, selvisi tuoreessa suomalais-amerikkalaisessa tutkimuksessa. Vastoin ennakko-odotuksia vanhempien varallisuus, koulutustausta tai lapsuusajan ympäristö eivät juurikaan vaikuta tietyn sukupuolen suosimiseen. ”Tutkimustulos oli yllättävä, sillä lähdimme oletuksesta, että erityisesti varakkaissa perheissä suosittaisiin poikia”, kertoo tutkijatohtori Robert Lynch Turun yliopiston biologian laitokselta. O­le­tus pe­rus­tuu evo­luu­tiote­ori­an Trivers-Willard -hy­po­tee­siin, jonka mukaan paremmissa olosuhteissa vanhemmat panostavat enemmän poikiin, kun taas huonommissa olosuhteissa he panostavat enemmän tyttöihin. Evoluutiobiologian alaan kuuluva tutkimus toteutettiin nettikyselynä hyvin erilaisista sosioekonomisista ryhmistä tuleville yhdysvaltalaisvanhemmille. Tutkimukseen osallistui 347 naista ja 423 miestä. Vastaajien keski-ikä oli 36,3 vuotta. Osallistujien vastauksia verrattiin heidän sosioekonomiseen asemaansa. Tutkimusartikkeli julkaistiin lokakuun Scientific Reports -tiedejulkaisussa. Varsinkin naiset kaikista sosioekonomisista ryhmistä ilmaisivat suorasti ja myös epäsuorasti suosivansa tyttäriä. He lahjoittivat enemmän rahaa tyttöjä tukeville hyväntekeväisyysjärjestöille ja adoptoivat mieluummin tyttöjä. Tyttöjä suosiva asenne näkyi myös alemman tuloluokan miehissä. Hyvin taloudellisesti menestyneet miehet sen sijaan suosivat hieman enemmän poikia. Evoluutiobiologian näkökulmasta menestymisellä tarkoitetaan, että jälkeläiset saavat mahdollisimman paljon jälkeläisiä. Toisin sanoen he pärjäävät ja pariutuvat. Evoluution suosimat ratkaisut riippuvat olosuhteista. Perinteisissä yhteiskunnissa ajateltiin poikia suvunjatkajina, mutta enää ei ole niin. Ympäröivä yhteiskunta on muuttunut suotuisammaksi tytöille. ”Tytöt ovat ajaneet monessa poikien ohi. He pärjäävät koulussa paremmin ja täyttävät yliopistot monilla aloilla”, Lynch sanoo. Hän uskoo, että näin on myös Suomessa, vaikka tämän tutkimuksen vastaajissa ei ollut suomalaisia. Yksinkertaistettuna tämä tarkoittaa sitä, että panostamalla tyttöihin enemmän aikaa, rahaa tai vaivaa, saa varmemmin menestyviä jälkeläisiä. Varsinkin huonoissa olosuhteissa kasvaneet pojat syrjäytyvät tyttöjä herkemmin. ”Yhdysvalloissa alle 15-vuotiaista pojista 30 prosentilla on keskittymisvaikeuksia ja sitä kautta ongelmia koulussa”, Lynch sanoo. Sukupuolten tasa-arvo on Lynchin mukaan tuonut tytöt samalle tasolle koulutuksessa ja myös esimerkiksi urheilumenestyksessä. Isä ei tarvitse välttämättä poikalasta kaveriksi koripallokentälle. ”Tytöille myös sosiaalinen liikkuvuus on helpompaa kuin pojille”, Lynch sanoo. Sosiaalisella liikkuvuudella tarkoitetaan esimerkiksi nousua työväenluokasta keskiluokkaan. ”Tyttäret ovat tulleet tärkeämmiksi sekä äideille että isille”, Lynch muotoilee. Kun tyttöjen taloudelliset mahdollisuudet ovat nousseet, se tekee tytöistä arvokkaita. Tasa-arvo on hyvä asia, mutta Lynch muistuttaa, että varsinkin syrjäytymisvaarassa olevien poikien asemaan tulisi kiinnittää huomiota. ”Esimerkiksi köyhien yksinhuoltajaäitien pojat pärjäävät huonosti”, Lynch sanoo. Mirkka Lahdenperä tutkii Myanmarin työnorsuja – "Norsuilla ja ihmisillä on paljon yhteistä, esimerkiksi sosiaalisuus"
Turun yliopiston evoluutiobiologian professori Virpi Lummaa tutkimusryhmineen tutkii parhaillaan suomalaisten kirkonkirjojen avulla, miten teollistuminen on vaikuttanut ihmisten niin sanottuihin tautigeeneihin. Kattava tutkimus julkaistaan kuukauden sisällä. Hyvästi solariumit ja itseruskettavat voiteet! Evoluutio lupaa ikirusketusta herkästi auringossa palaville, punakoille vaaleaveriköille. Sinisilmäiset blondit katoavat kokonaan, mutta samalla vaalenevat tummaihoisetkin. Tasaisen keskiruskeat ihmislapset ovat seurausta alati kiihtyvästä globalisaatiosta, maapalloistumisesta. Ihmiset muuttavat paljon ja sekoittuvat enemmän keskenään. Lastentekoa varten on entistä suurempi valikoima partnereita tarjolla ympäri maailmaa. – Se ei ole enää se naapurin poika tai saman kylän tyttö, huomauttaa akatemiaprofessori, evoluutiobiologi Virpi Lummaa Turun yliopistosta. Tulevaisuudessa ihminen myös kurottaa todennäköisesti yhä korkeammalle. Parempi ravinto ja ruoan koostumus on saanut meidät kasvamaan 10–20 senttiä pidemmiksi vain sadan vuoden aikana. Eniten ovat venähtäneet eteläkorealaiset naiset, keskimäärin 20 senttiä. Maailman pisimmät ihmiset elelevät kuitenkin Hollannissa. – Vuonna 1914 hollantilaiset miehet olivat keskimäärin 169 senttiä, ja nyt he ovat jo 182,5 senttiä pitkiä, Lummaa kertoo. Suomalaiset ovat sadassa vuodessa pidentyneet reilulla kymmenellä sentillä. Naisten keskipituus on nyt 166 ja miesten 180 senttimetriä. Sen enempää evoluutiobiologi ei uskalla tulevaisuuden ihmistä arvioida. Niin moni asia voi vaikuttaa ja on jo muuttunut nopeasti lyhyessä ajassa. Lääketiede kehittyy huimaa vauhtia, ympäristö on muuttunut. Ravinto on erilaista kuin ennen, ja monet tarttuvista taudeista on saatu aisoihin rokotuksilla. Kaupungistuminen on siirtänyt ihmisten elämää siisteihin ja lämpötilaltaan vakaisiin sisätiloihin, jossa suurin uhka ihmisen olemassaololle tuntuu olevan teknologian vauhdilla etenevä kehitys. Vielä ei tiedetä, miten se kaikki vaikuttaa ihmisten kehoihin. Se kuitenkin tiedetään, että omat geenimme ovat kääntyneet meitä vastaan. – Meille on nyt paljastumassa uusia haittapuolia geeneistä, jotka olivat ennen meille hyödyllisiä ja ovat sen takia yleistyneet keskuudessamme, Lummaa sanoo. Hän tarkoittaa niin sanottuja tautigeenejä, jotka altistavat nykyihmistä sepelvaltimotaudin, Alzheimerin ja syövän sairastumiselle – yleisimmät kuolinsyyt muun muassa Suomessa. Ennen samat geenit olivat yhteydessä korkeaan hedelmällisyyteen. Ne olivat tarpeen, jotta lapsia tehtiin paljon, koska vain osa lapsista jäi henkiin. Ihmiset kuolivat kuitenkin nuorempina, jolloin geenien haittavaikutukset eivät ehtineet näkyä. Haitat tulevat esiin vasta vanhemmalla iällä. Se selittää Lummaan mukaan osaksi sitä, miksi pitkään elävien nykyihmisten kuolinsyyt ovat nopeasti muuttumassa. Luonnonvalintaa tutkinut Lummaa ennustaa, että luonnonvalinta alkaa pikkuhiljaa karsia haitallisia geenejä elimistöstämme pois. Sen toteamiseen menee kuitenkin useita sukupolvia. Luonnonvalinta on evoluutioprosessi, jossa olosuhteisiin parhaiten menestyneiden ja sopeutuneiden yksilöiden ominaisuudet alkavat yleistyä ja huonommin sopeutuneiden ominaisuudet hävitä eri sukupolvien aikana. Lummaa muistuttaa, että tulevaisuudessa sairauksien haittoja voidaan poistaa ehkä lääketieteenkin keinoin. Luonnonvalinnan ei tarvitse toimia. – Tavallaan poistamme ne itse. Myös ihmisten omat, pienetkin valinnat elämässä voivat muuttaa kehityksen suuntaa. – Kuka valitaan partneriksi, kenen kanssa saadaan lapsia, millaiset ihmiset lisääntyvät ja ketkä eivät hanki lapsia. Niillä voi olla vaikutusta tautigeenien yleisyyteen tulevaisuudessa, Lummaa toteaa. Professori arvioi, että lähes puolessa maailman valtioista syntyy nykyään kaksi tai vähemmän lasta per nainen. – Syntyvyys on jo laskenut alle kantokyvyn monissa Euroopan maissa. Se on hänen mukaansa oman valintamme seurausta, ei luonnonvalinnan. Kun lapsikuolleisuus väheni, lapsia alettiin tehdä vähemmän. Tutkimusten mukaan koulutetuimmat naiset saavat nykyään vähiten lapsia. Lummaa ei lähtisi siitä päättelemään, miten se vaikuttaa esimerkiksi ihmiskunnan älykkyyteen tulevaisuudessa. On edelleen sattuman varassa, kenen geenit siirtyvät sukupolvelta toiselle. – Luonnonvalinta ei ole sitä, että olemme kehittymässä älykkäämmiksi tai paremmiksi. Se on sitä, kuka on parhaiten sopeutunut jatkamaan sukua missäkin oloissa. Oli lopputulos tulevaisuuden ihmisestä mikä hyvänsä, yksi asia on Lummaan mukaan varmaa. – Globalisaation takia pysymme yhtenä lajina. Otsikot lupaavat suurta käännettä. "Fossiililöytö: Ihmislaji vanheni sadallatuhannella vuodella", "Esi-isämme muuttivat Afrikasta noin 50 000 vuotta aiemmin kuin olemme luulleet", "Ensimmäinen esi-ihminen löytyikin Euroopasta?" Evoluutiopaleontologian professori Mikael Fortelius Helsingin yliopistosta ei pidä vuoden sisällä julkaistuja uusia löydöksiä edes yllättävinä. Esimerkiksi Bulgariasta löydetty 7,2 miljoonaa vuotta vanha hammas lähinnä naurattaa häntä. – Voi, voi, ystäväni innostuivat liikaa. Ei se ole mitään, se on ihmisapina. Se on vain yksi hammas. Niitä on löytynyt aiemminkin Euroopasta. Ihminen on edelleen saanut alkunsa Afrikasta. Turun yliopiston evoluutiobiologian dosentin Markus J. Rantalan mukaan ihmisen evoluutiolle ei ole merkitystä, millä vuosituhannella ihminen on siirtynyt Afrikasta muualle. Ongelmana on tällä hetkellä ihmislajin määritelmä. – Jossain vaiheessa on väitetty, että jopa yhdeksän eri ihmislajia olisi ollut elossa yhtä aikaa. Mutta olivatko ne oikeasti eri lajeja? Pelkästään fossiileja tutkimalla sitä ei saada selville. Esimerkiksi neandertalilaisia ja nykyihmisiä on pidetty eri ihmislajeina, mutta ne ovat lisääntyneet keskenään. Lajimääritelmän mukaan eri lajit eivät voi saada lisääntymiskykyisiä jälkeläisiä. Neandertalilaisten ja nykyihmisten jälkeläiset ovat elinkykyisempiä kuin kumpikaan alkuperäisistä ja elää porskuttavat edelleen. Esimerkiksi eurooppalaisten geeneissä on yhä 1–4 prosenttia neandertalilaisen dna:ta. Kun geeniperimä on tullut mukaan selittämään ihmisen menneisyyttä, evoluution kulusta on tullut entistä monimutkaisempi vyyhti. – Jos joku väittää ymmärtävänsä tämän, ei ole tutustunut aiheeseen ollenkaan, Rantala hymähtää. Mitään radikaalia muutosta ihmisen kehityshistoriaan evoluutiobiologi ei silti lupaa. Päälinja on jo selvillä. Ihminen ja simpanssi eroavat perimältään vain 1,4 prosenttia. Se kertoo siitä, että ihminen ja simpanssi ovat lähisukulaisia, joiden yhteinen kantamuoto eleli noin 7,5 miljoonaa vuotta sitten. Mikä sitten sai ihmisapinan kehittymään ihmiseksi? Moni teoria siitä on jo kumottu. Yksi uusi selitys on ilmastonmuutos. Niillä Afrikan alueilla, joilla ihminen kehittyi, oli voimakasta ilmastollista vaihtelua. – Oli kosteita ja kuivia aikoja. Ihminen joutui jatkuvasti sopeutumaan nopeasti muuttuviin olosuhteisiin, joissa kulttuuriset innovaatiot auttoivat meitä nopeammin kuin biologiset, Rantala kertoo. Ihmisaivojen nopeaa kehittymistä selittää myös seksuaalinen käyttäytyminen. – Kumpikin sukupuoli suosii parinvalinnassa älykkyyttä. Väitetään, että kielen synnyn ratkaiseva tekijä on ollut parinvalinta. Toisin sanoen teorioiden mukaan ihmisapina joutui keksimään, miten selvitä alati vaihtuvissa, karuissa sääoloissa. Selvitäkseen oli opittava myös kommunikoimaan lajitovereiden kanssa. Porukan älyköt menestyivät – ja himoitsivat toisiaan. Ja niin ihmisen aivot alkoivat kasvaa. Yksi ihmisen varhaista historiaa mullistava tieto on selvitetty Rantalan mukaan fossiililöydösten ympäristöstä. Ihminen ei syntynyt Itä-Afrikan savanneilla kuten oppikirjat väittävät. Alueet olivat silloin kosteikkoja. Savannilla ei nimittäin muodostu fossiileita. Myöskään sademetsissä ei muodostu fossiileja, mikä selittää evoluutiobiologin mukaan sen, ettei simpanssin kehittymisestä nykyiselleen ole löytynyt yhtään jäännöksiä. – Meillä on todella huono kuva siitä, mitä Afrikassa ylipäätään on tapahtunut. Fossiloituminen on niin harvinainen tapahtuma ja vielä harvinaisempaa on, että sattuisimme löytämään sen.
Siinä geeniperimän selvittäminen on tullut avuksi. Geenit kertovat, että ihminen on kehittynyt Afrikassa. Tällä hetkellä tutkijat esittävät, että nykyihminen on vaeltanut Afrikasta maailmalle useita kertoja. Ensimmäinen seurue lähti noin 120 000 vuotta sitten. Suurin muutto oli 60 000 vuotta sitten, ja siitä muuttoaallosta kaikki nykyiset Afrikan ulkopuolella elävät ihmiset polveutuvat. Rantalan mukaan ihminen kehittyi nykyiselleen risteytymällä erilaisten ihmisten kanssa ympäri maailmaa. Se selittää muun muassa eroja nykyihmisten piirteissä. Esimerkiksi Eurooppaan myöhemmin tulleet nykyihmiset risteytyivät aiemmin Eurooppaan tulleiden neandertalilaisten kanssa, jotka olivat pohjoisen oloissa muuttuneet roteviksi ja vaaleaihoisiksi, ja joilla oli suurempi pää kuin nykyihmisillä. Sukulaislajiensa kanssa pariutuneelta nykyihmiseltä on tunnistettu neandertalilaisen ja denisovanihmisen geenien lisäksi myös tunnistamattoman ihmislajin perimää. Rantala kuvaileekin ihmisen sukupuuta mieluummin pensaaksi. Oksia on niin monia. Kunhan teknologia kehittyy, pensaan selvittämisessä päästään ajallisesti yhä kauemmas. kyllä ammattiin ei ole nykyään tunkua. Myanmarissa kerran tai pari vuodessa. on tarttunut tosin jo ripaus realismia. Evoluutiobiologi Virpi Lummaa on tutkinut, miten isoäidit ovat auttaneet lastenlapsia pysymään hengissä. Nyt hän tutkii Myanmarin työnorsuja, joille mummot ovat yhtä tärkeitä. Kiintoisa kysymys on, miksi stressaantuneiden norsuemojen jälkeläiset vanhenevat muita nopeammin. Myanmarin työnorsut nousisivat kärkeen, jos maailmasta valittaisiin ryhmä, jonka terveys tunnetaan tarkimmin ja pisimmältä ajalta. Niiden nimet, henkilötunnukset, syntymät, mahdolliset pyydystystavat, kesytysiät, sairaudet ja kuolinsyyt on kirjattu ylös yli sadan viime vuoden ajalta. Lisäksi eläinlääkärit ovat joka toinen viikko tarkastaneet, ovatko ne kyllin hyvässä kunnossa korjaamaan puuta viidakosta. Kymmenisen vuotta sitten evoluutiobiologi Virpi Lummaa sai haltuunsa rekisterin, joka sisältää 10 000 norsun koko elämän kattavat terveystiedot. Nyt hän on akatemiaprofessori Turun yliopistossa ja johtaa ryhmää, joka tutkii viidestä tai kuudesta norsusukupolvesta kerättyjä lokikirjoja. Tiimin toinen tärkeä aineisto on koottu suomalaisista kirkonkirjoista. Se sisältää 15 sukupolvea suomalaisia 1700-luvulta nykypäivään, ja siihen perustuvat Lummaan kuuluisat mummohypoteesia koskevat tutkimukset. Lummaan työ vahvisti, että isoäidit ovat edistäneet lastenlastensa pysymistä elossa menneinä vuosisatoina, jolloin taudit tappoivat ison osan pikkulapsista. Mummohypoteesi näyttää pätevän myös Myanmarin norsujen savotoilla, Lummaa toteaa. Kun nuoren emon äiti on lähellä, sen poikasen kuoleman riski on kahdeksan kertaa pienempi kuin poikasella, jonka isoäiti on kaukana. Tuloksen julkaisivat Lummaa ja Mirkka Lahdenperä Scientific Reports -lehdessä viime vuonna. Läsnä oleva äiti lyhensi tyttären synnytysten välejä vuodella. Norsujen poikaskuolleisuus ennen viidettä ikävuotta on suuri, 30 prosenttia. Vasta viiden vanhana norsu kykenee löytämään omin avuin syötävää ja voi pärjätä itsenäisesti. Pikkunorsujen kuolemia voitaisiin ehkä vähentää, jos niiden mummoja ei siirreltäisi työmailta toisille. Onneksi jokaisella norsunpoikasella on myös auntie, eli toinen naaras, joka on kiinnostunut siitä. Kun omasta emosta otetaan vaikkapa verinäyte ja poikanen hermostuu, se juoksee heti tädin kylkeen turvaan. Myös Afrikan luonnonvaraisten norsulaumojen tiedetään pitävän yhdessä huolta pienokaisistaan. On esimerkiksi havaintoja siitä, että muutkin naaraat kuin oma emo imettävät pienokaisia. Villejä norsuja on kuitenkin vaikea tutkia – eikä 70-vuotiaaksi elävä laji ylipäätään ole helppo tutkimuskohde. Luonnossa matriarkka johtaa norsulaumaa. Naaraat tulevat sukukypsiksi 15-vuotiaina, mutta useim­mat niistä aloittavat lisääntymisen vasta parikymppisinä. Ne voivat tulla kantaviksi viiden vuoden välein. Raskaus kestää lähes kaksi vuotta. Naarasnorsuilla ei ole menopaussia. Niiden hedelmällisyys heikkenee 30 ikävuoden jälkeen, muttei ehdy. Norsumamma on todistetusti synnyttänyt peräti 68-vuotiaana. Aasian­norsut elävät usein yli kymmenen vuotta sen jälkeen kun ovat lopettaneet lisääntymisen. Vaikka norsut voivat synnyttää vanhempina kuin ihmiset, niiden kehot vanhenevat keskimäärin samaa tahtia kuin meidän. Juuri tämä on Lummaan ryhmästä kiinnostavaa. Tiimi yrittää ratkaista ikääntymisen arvoitusta. Mitä elimistössä tapahtuu, kun vanhenemme? Miksi rupsahdamme eri tahtia? Voiko elämänhistoria selittää, miksi yksi haurastuu nopeasti, toinen ei. ”Pystymme vaikkapa katsomaan, näkyykö stressitasoissa ja dna:n rapistumisessa se, kuinka paljon kukin norsu on sairastanut ja montako poikasta se on tehnyt. Lastensaantihan on iso kustannus”, Lummaa sanoo. Äkkiä rupsahtavat ainakin stressaantuneille äideille syntyneet norsut. Ne myös synnyttävät itse nuorempina mutta saavat yhteensä vähemmän poikasia kuin muut, osoittaa Scientific Reports -lehden artikkeli vuodelta 2015. Työnorsulle huonoin aika syntyä on sadekaudella kesä–elokuussa, jolloin täysikasvuiset painavat raskaimpia päiviä savotoilla. Tuolloin niiden ulosteista löytyy eniten jäämiä stressistä kertovasta glukokortikoidista. Lummaa on käynyt Myanmarissa kymmenkunta kertaa. Syrjäisissä metsissä, joihin pääsee vain erikoisluvalla, työskentelee nykyään 2 500 norsua. Luonnon kannalta norsut ovat parempia kuin isot metsätyö­koneet. Viidakot säilyvät monimuotoisina, kun maastoa ei jyrätä konevoimin, vaan väkivahvat eläimet kiskovat järeät rungot pois polkuja pitkin. Juhtia ohjaavat ratsastajat. Tähän suhteeseen liittyy paljon ongelmia, Lummaa toteaa. Norsut on perinteisesti alistettu julmin ottein. Moni poikanen kuolee, kun se erotetaan emosta ja opetetaan kantamaan ihmistä. Viisivuotiaaksi asti se on juoksennellut villinä ja vapaana, ja yhtäkkiä se pakotetaan kuriin. Osa norsuista on syntynyt vankeudessa, osa on pyydystetty luonnosta. Vangiksi jääminen on eläimille järkytys, jonka seuraukset ilmenevät pitkään stressihormonien suurina määrinä ja huonona syntyvyytenä. Norsut saavat tehdä kevyttä työtä 17-vuotiaaksi asti. Sitten niiltä vaaditaan täyttä panosta 55 vuoden eläkeikään asti. Naarailla on parin vuoden äitiys­loma, ja ne imettävät poikasiaan työmaalla kunnes nämä ovat noin nelivuotiaita. Aikaisemmin norsun ja ratsastajan suhde oli elinikäinen. Nykyisin hakkuilla käytetään kausityöläisiä, jotka vaihtuvat. Siinä miten kukin heistä saa neljän tonnin painoisen ratsunsa tottelemaan, on isoja eroja. Jotkut käyttävät ronskisti väkivaltaa. Lummaata onkin arvosteltu siitä, että hän tutkii eläimiä, joita kohdellaan kaltoin. Lisäksi Lummaan ryhmä on järjestänyt kursseja pehmeistä koulutusmenetelmistä, jotka perustuvat palkitsemiseen. Tutkijoita auttaa se, että norsut ovat ihmisiin tottuneita. Ne antavat ottaa verinäytteen hermostumatta ja sallivat mitata maharasvansa paksuutta. Ihan kaikki ei kuitenkaan onnistu. Myanmarin norsut näet viettävät yönsä ja vapaa-aikansa omissa oloissaan metsässä. Silloin ne syövät mitä haluavat ja parittelevat kenen kanssa tahtovat – eivätkä siedä tarkkailijoita. Lummaan tuttu yritti seurata salaa, mitkä norsuista pitävät poikasista huolta. Hän joutui raivostuneen emon jahtaamaksi ja pakeni pian takaisin ihmisten ilmoille. Samaan hengenvetoon Lummaa ihmettelee nykypäivän suomalaista käytäntöä, joka panee äidit tai isät hoitamaan vauvoja yksin kotona vuoden tai kaksi. Yleensä eläimet ovat lisääntymiskykyisiä koko aikuisuutensa, mutta ihmisen, miekkavalaan ja lyhyteväpallopäävalaan naaraat voivat elää pitkään menopaussin jälkeen. Mummohypoteesin mukaan isoäidit edistävät lastenlastensa selviämistä. Vanhojen naaraiden antamasta lastenhoitoavusta on havaintoja myös monilla lajeilla, joilla ei ole menopaussia. Niitä ovat norsut, leijonat ja monet kädelliset. Evoluutiobiologi haluaa tietää, miten luonnonvalinta vaikuttaa ihmissukuun. Moni suomalainen huippututkija lähtee ulkomaille, mutta Virpi Lummaa palasi Turkuun vietettyään maailmalla melkein kaksi vuosikymmentä. Hän sai viiden vuoden professuurin Suomen Akatemialta ja jätti vakinaisen työpaikan Sheffieldin yliopistossa. Lummaata kiehtoi mahdollisuus omistautua täysin tutkimukselle. Britanniassa hän olisi joutunut opettamaan ison osan ajastaan. Lisäksi tärkeä houkutin oli mummo. Kun oma äiti asuu lähellä, kahden pienen pojan yksinhuoltajan arki helpottuu huomattavasti. Näin toteaa tutkija, josta on tullut kansainvälisesti tunnettu niin sanotun mummohypoteesin ansiosta. Sen mukaan isoäidit edistivät lastenlastensa selviämistä hengissä menneinä vuosisatoina, jolloin lapsikuolleisuus oli suurta. Lummaa vahvisti tämän vanhojen kirkonkirjojen avulla. Suomen papit ovat vuodesta 1686 lähtien kirjanneet niihin vihityt, syntyneet, kuolleet ja usein myös satotietoja. Aineisto, jota Lummaa käyttää, kattaa 15 sukupolvea suomalaisia 1700-luvulta nykypäivään. Sen kokoamisen aloittivat aikoinaan lintutieteilijät Erkki Haukioja ja Risto Lemmetyinen. Heitä innosti sukututkimus ja etenkin poikuekoon vaihtelut linnuilla. Kun Lummaa sai paperit haltuunsa, hän teki niistä ensin gradun, sitten väitöskirjan ja myöhemmin ryhmänsä kanssa lukuisia muita tutkimuksia. Kaikissa on keskeistä poikuekoon vaihtelu – ihmisellä. Hän oivalsi varhain, että ihmistä voi tutkia lajina, johon pätevät biologian lainalaisuudet aivan kuten kaikkiin muihinkin eliöihin. Meihinkin sopii evoluutioteorian oppi luonnonvalinnasta. Se suosii yksilöitä, jotka onnistuvat elinaikanaan kasvattamaan eniten jälkeläisiä. Tämä selittää myös mummojen, eläinkunnan kummajaisten, olemassaolon. Lähes kaikilla lajeilla naaraat jatkavat lisääntymistä kuolemaansa saakka, mutta naiset lopettavat vaihdevuosiin. Nyt on toisin. Yhä useammat tutkijat ovat alkaneet pohtia ihmistä evoluutiobiologian näkökulmasta. Lummaa kollegoineen selvittää parhaillaan sitä, miten luonnonvalinta on muuttunut, kun yhteiskunta on modernisoitunut. Suuri käänne tapahtui 1800-luvulla isorokkorokotusten ansiosta: lapsikuolleisuus pieneni, perheiden lapsiluku laski, eikä luonnonvalinta enää määrää, kuka jää henkiin. ”Ennen rokotusten aikaa isorokko saattoi tappaa muutamassa viikossa jopa kolme lasta samasta perheestä”, tutkija kertoo. Hänen onkin vaikea ymmärtää niitä tämän päivän keskustelijoita, jotka kyseenalaistavat rokotukset. Myös hyvinvointivaltiossa poikuekoko vaihtelee. Siinä, kuinka paljon eri ihmiset siirtävät geenejään eteenpäin, on yhä melkein yhtä isoja eroja kuin esiteollisessa Suomessa. Lummaata kiinnostaa, miten populaatio muuttuu, kun osa porukasta ei lisäänny lainkaan. Hän toivoo saavansa viimeisimmistä sukupolvista geenitietojakin tutkimukseensa. Toinen häntä kutkuttava kysymys on, miksi jotkut rupsahtavat nopeammin kuin muut. Amerikkalaisessa tutkimuksessa osa 38-vuotiaista koehenkilöistä oli vireitä kuin kolmikymppiset, mutta osa sinnitteli 60-vuotiaan kropassa. Tähän ei löydy vastausta kirkonkirjoista, vaan toisesta aineistosta, jonka sattuma lahjoitti Lummaalle. Myanmarilainen eläinlääkäri kertoi hänelle rekisteristä, joka sisältää tarkat tiedot 10 000 metsätyönorsun terveydestä sadan vuoden ajalta. Viidakoissa työskentelee yhä 2 500 norsua. Onnenpotku avasi huimia näkymiä. Tutkijoilla on käytössään viiden sukupolven verran norsujen historiaa. Lisäksi he voivat mitata vaikkapa stressihormonien määrää tai solujen dna:n kuntoa samojen sukujen eläviltä jälkeläisiltä ja arvioida tuloksia niiden työnteon ja sairastelun valossa. Ryhmä haaveilee ratkaisevansa kehon rappeutumisen arvoituksen, eli sen, miten elimistö ikääntyy ja dna rapistuu eri yksilöillä. Virpi Lummaa, 43, on akatemiaprofessori Turun yliopistossa. Väitteli Turun yliopistossa vuonna 1999 siitä, miksi Turun saaristossa syntyi ennen puolet enemmän kaksosia kuin muualla Suomessa. Työskennellyt tutkijana Cambridgen yliopistossa, Berliinissä Wissenshaftskolleg-instituutissa ja Sheffieldin yliopistossa. Juoksee torstaisin kymmenhenkisen tutkimusryhmänsä kanssa Aurajoen rannalla. Kasvattaa newfoundlandinkoiria. Meneillään on kuudes sukupolvi. Parhaillaan Lummaalla on yksi koira kotona ja kaksi sijoituksessa. Menikö luonnonvalinnalla jotain pieleen: Miksi nainen elää menopaussin jälkeen lähes saman mokoman vaikkei voi saada jälkeläisiä? Kysymys on kutkuttanut evoluutiobiologi Virpi Lummaan mieltä jo vuosia. Hän on myös löytänyt kysymykseensä vastauksen. Mutta se herätti vain tukun uusia kysymyksiä. Miten luonnonvalinta eli evoluutio vaikuttaa nykyturkulaisiin? Akatemiaprofessori Virpi Lummaa siirtää nyt katseensa vanhoista kirkonkirjoista tulevaisuuteen. Luonnonvalintaa on tavallaan sekin, että yhä useampi jää ilman lapsia. Palkitun akatemiaprofessorin Virpi Lummaan tutkimus ottaa askeleen kohti nykypäivää. Lummaa ryhmineen on vuosien ajan penkonut Turun seudun saaristopitäjien kirkonkirjoja. Tutkijat ovat jo saaneet tuloksia esimerkiksi siitä, millainen rooli isoäideillä oli esiteollisen ajan Suomessa. Lummaa uskoo, että laajentamalla tutkimusta nykyhetkeen saadaan uutta tietoa evoluutiosta eli luonnonvalinnasta. – Päivitämme aiemmin kirkonkirjoista keräämiämme tietoja nykyaikaan asti, Lummaa kertoo. Tutkimme, miten luonnonvalinta on muuttunut, onko se vaihtanut suuntaa tai jopa loppunut, kuten jotkut väittävät. Vaikka Lummaan tutkimusaineisto on supisuomalainen, hän on aiemmin asunut ja tehnyt tutkimusta Britanniasta käsin. Lummaa tuli loppukesällä Suomeen akatemiaprofessoriksi asuttuaan Britanniassa 16 vuotta. Nyt hän asuu perheineen Kaarinassa ja vetää kansainvälistä tutkijaryhmää Turun yliopistossa. Lummaa kehuu, että suomalaiset kirkonkirjat ovat ainutlaatuisia. – Suomessa on ollut ahkerat papit, jotka ovat kirjanneet tietoa perunanistutuksesta ensimmäisiin valkovuokkoihin ja kurkien tuloon. Vanhat kirkonkirjat paljastavat, miten luonnonvalinta eli evoluutio vaikuttaa ihmisiin. Mitkä asiat vaikuttavat siihen, montako lasta perheeseen syntyy? Miten esimerkiksi lapsuuden niukat elinolot vaikuttavat myöhemmin elämässä? Lummaan apuna on iso joukko tutkijoita, jotka keräävät aineistoista tietoja. Apua todella tarvitaan, sillä kirkonkirjoista kerätyt tietomäärät ovat massiivisia. Aineisto ulottuu yli 350 vuoden taakse. Se tarkoittaa, että dataa on yli 15 sukupolven ajalta. – Osa perheistä tavallaan kuolee sukupuuttoon ja osa selviää ihan nykypäivään saakka, Lummaa kertoo. Kun Lummaa aiemmin tunsi aineistosta jopa yksittäisten perheiden kohtalot, enää se ei ole mahdollista. – Aineistoa on jo noin 90 000 ihmisestä, hän kertoo. Mukana aineistoja penkomassa on ihan tavallisiakin ihmisiä. Lummaa on palkannut sukututkijoita apureikseen kirkonkirjoja tutkimaan. Eräs Helsingissä asuva 80-vuotias eläkeläismies on auttanut jo 15 vuoden ajan aineistonkeruussa. – Aineiston kerääminen on melkein kuin salapoliisityötä. Perheiden vaiheita pitää seurata, kun ne muuttavat pitäjästä toiseen, Virpi Lummaa kertoo. Esimerkiksi rippikirjojen avulla voidaan seurata, ketkä tutkimusaineistoon kuuluvista ihmisistä ovat olleet tiettynä vuonna elossa ja missä he ovat asuneet. Kerätyt tiedot pitää koodata tietokantaan. Vasta sitten päästään tarkastelemaan tilastollisia ilmiöitä. Lummaa on kiinnostunut nimenomaan yleisistä ilmiöistä, ei niinkään poikkeuksista. Aineistosta on jo paljastunut esimerkiksi, että isoäitien apu auttoi lastenlapsia selviämään hengissä esiteollisessa Suomessa. – Myös esimerkiksi isorokkorokotusten vaikutus lapsikuolleisuuden pienenemiseen näkyy selvästi, Lummaa kertoo. Tutkijoilla on käytössä myös satotietoja kunkin vuoden ruissadoista. On selvinnyt, että huonoina satovuosina syntyneet kärsivät myöhemminkin elämässään muita enemmän, jos elinolot olivat huonot. Seuraavaksi tarkoitus on siis selvittää, miten moderni ympäristö vaikuttaa ihmisen evoluutioon. – Monesti törmää väittämiin, ettei nykyihmistä kannata tutkia evoluution näkökulmasta. Kysytään, mitä kertoo evoluutiosta, jos tutkii nykyajan turkulaisia, Lummaa sanoo. Esimerkiksi kuuluisa antropologi, luontodokumenteista tuttu sir David Attenborough on väittänyt, että rokotukset ja terveydenhuolto ovat pysäyttäneet evoluution. – Väittämä on väärä, Lummaa tyrmää. Hänen mukaansa evoluutio ei ole loppunut, vaan se saanut uusia muotoja. – Minua kiinnostaa se, mihin ollaan menossa ja mitä tapahtuu nyt, Lummaa tiivistää. Tutkijat aikovat yhdistää kirkonkirjojen sukupuut moderneihin geneettisiin menetelmiin. – Se ei ole mitään scifi-tiedettä, vaan jokapäiväisen elämämme yhdistämistä hitaisiin muutoksiin koko väestön kokoonpanossa, Lummaa painottaa. Lummaa haluaa tutkia muun muassa, miten parinvalinta ja syntyvyys ovat muuttuneet. Hän antaa esimerkin. Vaikka lapsikuolleisuus on nykyään Suomessa lähellä nollaa, yhä useampi saa vain yhden lapsen. Moni jää kokonaan lapsettomaksi. – Se on silloin hänen geeniensä loppu, Lummaa huomauttaa. Toisaalta osa ihmisistä saa nyky-Suomessakin lapsia kolme, neljä tai vaikka täyden tusinan. Näin toiset geenit yleistyvät ja toiset harvinaistuvat. – Niin kauan kuin kaikki eivät saa sitä kahta lasta eivätkä elä juuri yhtä kauan kuin toisetkin, välillämme on vaihtelua siinä, miten paljon saamme geenejämme seuraavaan sukupolveen. Ja sitä myötä on tilaa evoluutiolle ja luonnonvalinnalle, Lummaa sanoo. Lasten saantiin ja parinvalintaan vaikuttaa nykyään sekin, sattuuko sopivaa kumppania osumaan kohdalle. – Parin löytäminen tuntuu olevan aika vaikeaa vieläkin. Lummaa huomauttaa, että erityisesti muuttoliike vaikuttaa tulevaan väestöön. Vielä esimerkiksi 1700–1800-luvuilla väestö liikkui paljon vähemmän. – Kukapa osaisi arvata, miltä turkulaiset näyttävät 15 sukupolven kuluttua – mutta voimme kyllä ennustaa, miten väestö tulee muuttumaan. Professori ei suostu veikkaamaan, miltä kaukaisen tulevaisuuden turkulainen näyttää. Mutta aineiston perusteella voidaan tarkastella vaikkapa, miten yleisille taudeille tai hedelmöitymisongelmille altistavat geenit leviävät seuraavissa sukupolvissa. Elephant Project (ERC-2014-CoG 648766 / Virpi Lummaa at the University of Turku, Finland) studies the causes of variation in health, survival and reproduction using longitudinal demographic data recorded over the past century, combined with new physiological, physical and behavioural data collected from live individuals. The project aims to provide new solutions to elephant management and healthcare in order to optimise the balance between working ability, survival and fertility, and to minimise calf deaths. This will lead to a self-sustaining working population, which will avoid the need to bolster the captive population with elephants captured from the endangered wild population.